This one will target your glutes big time! Give it a shot while it’s still nice outside! If you do this inside, just change the walking lunges to alternating forward lunges and you’ll be good to go! Have fun and enjoy this fall weather! *Bulgarian Split Squat Jump = Set yourself up like a Bulgarian Split Squat with your back leg elevated onto a bench or couch, then squat down, driving your back knee down and back towards the floor, then drive off the front foot to jump. *Half Burpee = Pushup, kick feet back forward, then kick back to perform another pushup. *Squat Thrust + side to side Mountain Climber = Squat thrust down to plank position, then do a side to side mountain climber, jump back up to standing. That is one rep.
You will need some equipment for this one – but just a KB or DB, and a jump rope! This one is a tough one for a couple reasons – 1) It’s long 2) There are only three movements in the workout, but it seems that everyone struggles with or just down right dislikes at least one of these three. But no one can deny how great you will feel once completing this! For both of us, the challenge in this workout is hands down the running. Put even a LITTLE bit of running in and a look of horror comes across our faces and tears well up in our eyes (okay – that’s a bit dramatic, but it’s not that far off). For others, we know the doubles or thrusters may be the problem area. The key thing here, is to know where your strong suit is, and use that to your advantage. This is all straight up conditioning, so focus focus FOCUS ON YOUR BREATHING!! Find rhythm in your breath, find a pace in your movements, and if you need to step away from an exercise, set “rest” time of 3,5, or 7 seconds to stay consistent. This is straight up CARDIOOOOO, and we “love” it. We were closed for the holiday weekend, but that didn’t stop some of our strong athletes from putting together their own workouts! This morning, I was informed that a particularly brutal track workout was completed, and so obviously we wanted to share this workout with the whole team. We are always inspired by the athletes we work with, and excited when they push themselves out of the gym. We are always open to publishing particularly challenging workouts that we can all do outside the gym, so always feel free to share them with us! This workout was programmed and completed by Marc Perez & Mike Trakimas (and shockingly does not include a single pull-up! ), and I was not at all surprised with the intensity of the workout, or the competitive nature it brought out between these two. So here it is…all body weight, no equipment needed! Give it a shot and be sure to thank them next time you see them in class! *surrenders: stand with hands behind your head, reverse lunge with left leg to kneel down to one knee, then kneel the right knee down putting you in a tall kneeling position, then stand back up again but stepping your left foot forward to a half kneeling position, and standing from there by driving through the left heel. Be sure to alternate which leg is leading as you kneel and stand. Make sure to keep your chest up as you complete the movement. A little Ab burner and core stability work for you this week! Now THIS you can do anywhere! Workout of the Week is back! Try this one out, and feel free to comment with your time or thoughts on the workout below! Have fun with it! If you don’t have a pull-up bar available, look no further than your local playground or park – many times you will find a bar on a jungle gym or a park with pull-up bars. 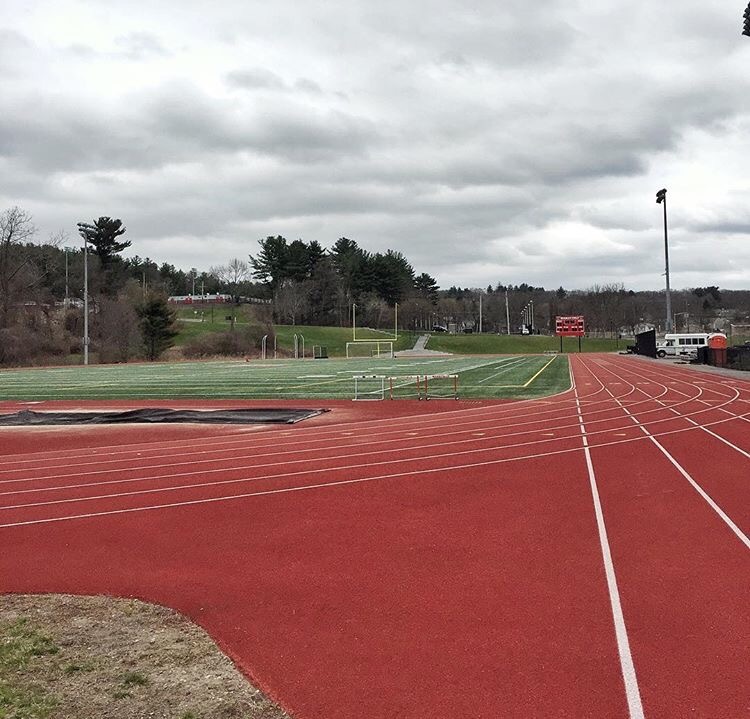 If you are around the Cambridge area, Memorial Drive has a an outdoor workout spot that you should check out – pull-up bars, large field for running, dip bars, benches for box jumps, etc. Also, be sure to keep an eye out for an upcoming blog about creating your own affordable home gym so you can get some great strength training work in at home! This workout is pretty simple (in theory). You know how this goes – just like the song. But we don’t have drummers drumming or pipers piping, and Hannah is terrified of birds, so we changed it up to reflect what we would like to really give you for Christmas. Start with 1, then 2,1, then 3,2,1…etc until you get to 12,11,10 all the way down to 1. So have fun with it, and let us know how it goes! Most of all, have a wonderful holiday with your family and friends, travel safe, and we will see you back at the gym soon!